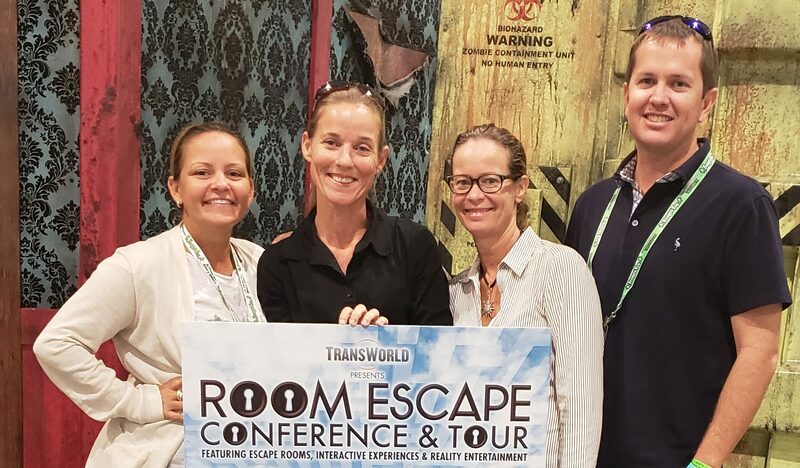 The Blackbeard’s Escape design and management team travelled to Nashville to attend the 2018 Room Escape Conference & Tour. The three day event was composed of seminars, workshops, and escape room tours. The all-Bahamian team was composed of husband and wife Lee & Chrystonia McCoy along with Samantha Allen & Margot Constantakis. While the McCoy’s have previous escape room experience, both Allen and Constantakis had never done an escape room before. Friday consisted of registration and seminars, followed by a bus-tour to two Escape Room facilities near Nashville. The first location was Locked Games. The Blackbeard’s Escape team joined with other players from the conference to play the game. “Game Museum” was selected and played – a brand new escape room with a board game theme. As this was a new game, the team was not able to escape in the alloted time, and there were a few design and tech issues. The second location was Liveminds Adventure Escape. These rooms are built by professional set designers and escape room enthusiasts, and are completely immersive in terms of the set design and gameplay. The “Pacari” game was an adventure set to a Mayan theme, with multiple rooms and amazing puzzles. This time, the all-Bahamian team and their coplayers were able to successfully find the ancient wonder and escape the room. Saturday and Sunday were filled with classes, seminars, and workshops surrounding the escape room industry. Presentations, most of which were given by experienced owners of escape games, consisted of initial design and planning, set and game design, safety, marketing, best business practices, and a myriad of other topics. Networking and team building played a key part of the weekend. Contacts were made with enthusiasts, persons just starting their own businesses, and key industry players. The tradeshow floor was also filled with demonstrations of mobile escape games, puzzle and set designers, booking systems, and everything else escape-room related. 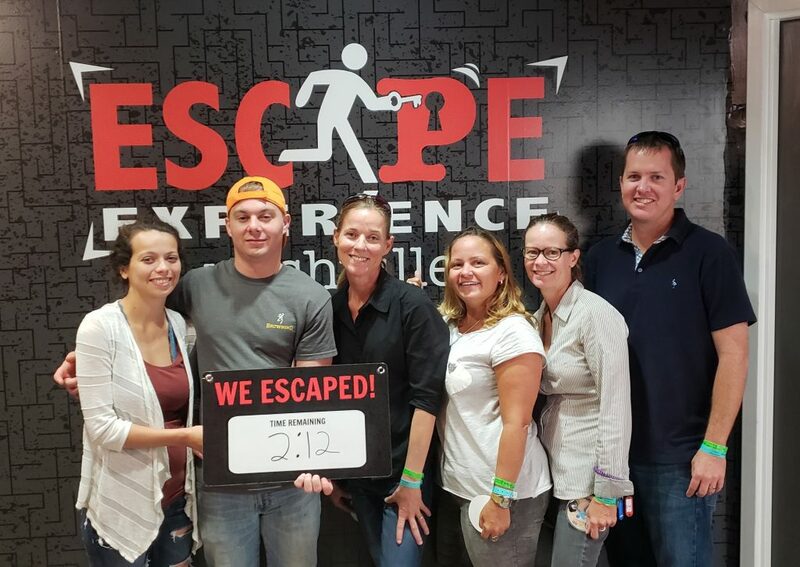 The team was also able to further develop the Blackbeards Escape room experience and bond together as a team with a unified vision for the company. Many ideas were brought forward on how to expand the current offerings and develop the market in the Bahamas and the Caribbean. The weekend was rounded off with a final escape room tour – this time at a downtown location called Escape Experience Nashville. The multi-room game “The Inheritance” was played, together with a recently married couple enjoying their honeymoon. The team was able to succesfully complete the challenge with 2 minutes to spare – not an easy feat considering there is only a 27% success rate for the game! Blackbeard’s Escape is currently being finalized, built and tested with a scheduled opening in August of 2018. The company is currently interviewing and hiring Game Masters to bring this amazing new experience to downtown Nassau. New Escape Room opens in Downtown Nassau!